But in the end I decided to take the chance, and I’m certainly glad I did because the book was none of those things. Instead, Mr. DeStefano presents a well thought out and thoroughly Christian analysis of the spiritual realities surrounding us. In so doing, he takes his readers on journey into the world of God, angels and demons, Heaven and Hell. And what an adventure it is. Delving deep into the Biblical and theological wisdom of the ages, he presents a logical and coherent explanation to many of those pesky little paradoxes that seem to torment us in the middle of the night. I found The Invisible World interesting, enlightening, entertaining and morally uplifting. I can’t say enough good things about this book. It deserves more than a Five-Star rating and I highly recommend it. 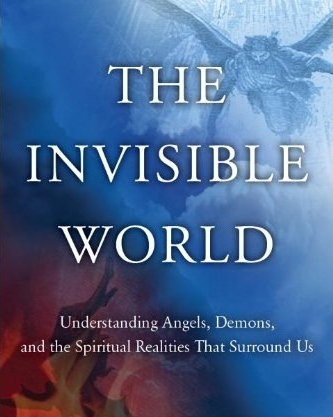 We wish to thank B&B Media Group for providing us with a review copy and also allowing us the opportunity to have this short interview with The Invisible World’s author, Anthony DeStefano. 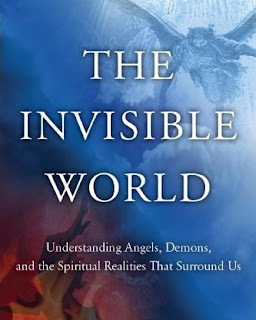 Q: The Invisible World is a book about understanding angels, demons, and the spiritual realities that surround us. In a world that is so visual, why tackle such a murky subject? A: That’s really the whole point. What I tried in this book was attempt to render that spiritual world a bit less murky and a bit clearer for people. My hope is that, by doing this, these invisible realities won’t seem so unfamiliar in the future. And the more familiar they are, the easier it will be to understand them and to have absolute faith in their existence. Q: What do you say to skeptics who believe the invisible spiritual world is just a superstition? A: Quite the contrary. To me, the greatest superstition is what Deepak Chopra calls the “superstition of materialism.” That’s the superstition that says that everything in life—our ideas, our philosophies, our religions, our accomplishments, all our notions of honor and love and mercy and hope, all our art and music, all of the deepest mysteries of science and faith, all the longings of the human heart—is simply the result of the random dance of molecules in our brain! Now to me that is superstitious and a denial of logic! One of the great things about the invisible realm is that you don’t have to be a “religious fanatic” or the follower of some cult to believe in it. You can be a level-headed pragmatist. You can be a realist. You can even be a cynic. 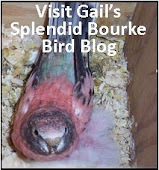 You certainly don’t have to check your brains at the door before entering this world. And you don’t have to be afraid that deep thinking is going to nullify what you learn there. 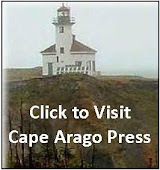 This book is not merely based on warm-hearted anecdotal evidence. Everything I talk about in this book is based on solid theology, informed by common sense and logic, and backed up by biblical scholarship and the universal teaching of the Christian church over the past two thousand years. Q: If we are going to explore the invisible spiritual realm, how can we tell the phony from the authentically supernatural? Is there a way to be sure about what is real and what is superstition or even fraud? A: It’s very difficult because the topic is so subjective. That’s why, in my book, I don’t indulge in wild speculation or relate hundreds of anecdotes and stories that may or may not be true. 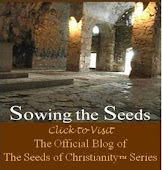 I stick to what has been revealed in Scripture and the authentic teaching of Christianity over twenty centuries. I feel strongly that, if I didn’t stay within these parameters, it would be too easy to drift into the worst kind of make-believe. Q: What was the biggest insight you had during your research for The Invisible World? A: The biggest insight for me was that when you look at the invisible world from the Christian perspective, it’s actually much more interesting and provocative than when you look at it from all the fictional and new-age perspectives you see in the majority of books being published. As everyone knows, there are many books out there on paranormal activity and ghosts and goblins and all the subjects Hollywood makes scary movies about. But the simple, age-old Christian teaching on angels, demons, the devil, grace, God, and what’s going to happen at the end of the world are so much more exciting and eerie. And what’s more—they are true. They are not make-believe. And you can really believe them.